We all popped to the shop this morning and as soon as we walked in I spotted some people with 2 guide dogs who were there to collect money for the Guide Dog Association http://www.guidedogs.org.uk/. 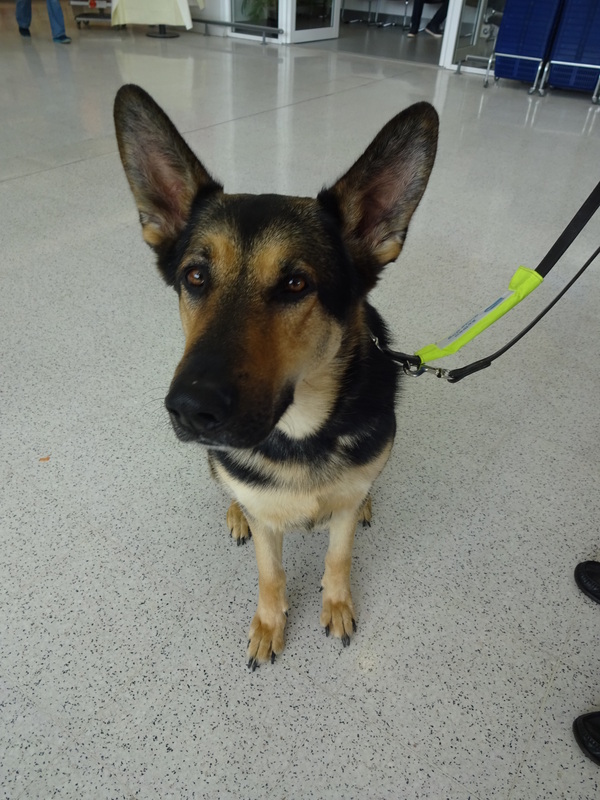 Inca is a working Guide Dog and has been with his human daddy for 3 years. Inca is pretty tall and his dad was telling me that they breed Guide Dogs to different sizes to match the height of their owners. They also take other things into consideration like how active the person is and the kind of activities they regularly do. It’s so obvious but I hadn’t thought about it before that they would do that, it makes so much sense! Inca was very friendly and was happy for everyone to say hello! He lent into me for a little cuddle! Rinty is a retired Guide Dog. His previous owner developed problems with his arms and so couldn’t walk with him anymore. They did try to re-train Rinty but they found that he had developed a fear of heavy traffic and so he had to retire. His current human daddy has always had dogs and has been a puppy walker for 13 different Guide Dog puppies. I asked him it was really hard giving them up; I don’t know if I could do it! He said that it is pretty hard but you have to remind yourself that they’ll only be with you for a year and that there going on to do an amazing job! He said that it’s all worthwhile when you receive a letter from there new owner thanking you for the work you’ve done! 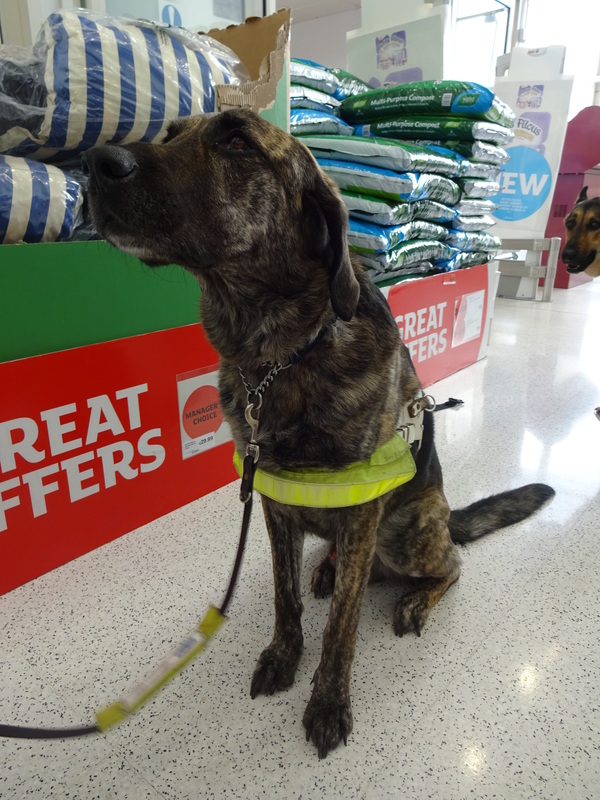 Rinty also lives with a former Guide Dog trainee that didn’t make it! I know I’ve said it before but I think that Guide Dogs are so amazing, what caring, gentle, clever dogs they are! Favourite pastime: Free running and swimming! Favourite pastime: Free waking out and about! We have a Guide Dog training centre just around the corner, and they have an “open day” once a year with tours and demos etc. It is quite amazing what those dogs are able to do with care, patience and training. Such gorgeous dogs!!! Guide Dogs are amazing. I fostered a few dogs while they were waiting for forever homes and cried when they got adopted. I don’t know how the trainers do it, but hats off to them! It must be so sad letting them go! I’d definitely cry!